The all-new ZenBook UX410 brings you elegance, sophistication and superb performance in a gorgeously slim and light design. Crafted from solid aluminum and featuring our iconic spun-metal Zen-inspired finish, ZenBook UX410 is a mere 18.95mm thin. 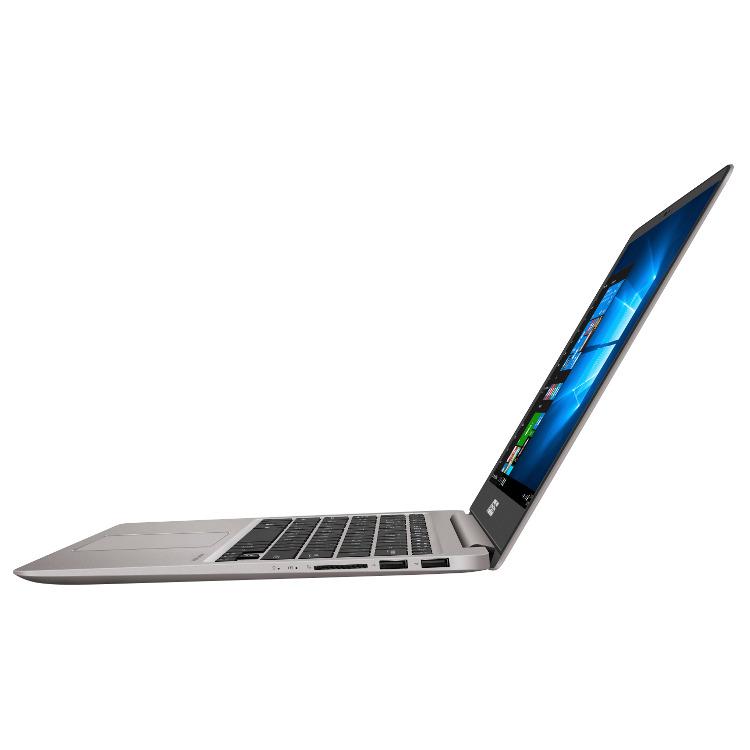 And its travel-friendly weight of just 1.4kg means taking it with you is never a burden, and using it is always a pleasure with its crisp, clear 14-inch wide viewing angle display and 6mm slim bezel. Featuring the latest generation of Intel® Core™ processors, powerful graphics and super-fast storage, ZenBook UX410 is no slouch, either — it has all the performance you need to blitz through your working day. ZenBook UX410 makes everything easier, in style. The ZenBook Series practically invented thin and light, and ZenBook UX410 continues that proud heritage, featuring a timelessly elegant all-new design with a profile that's just 18.95mm thin. Using solid aluminum alloy keeps the weight down to just 1.4kg, but it takes dozens of precisely-controlled manufacturing steps to craft it into its sleek shape. Our unique spun-metal finish, with its Zen-inspired concentric circles, adorns the lid, with a tough and durable brushed-metal finish adorning the rest of the chassis. 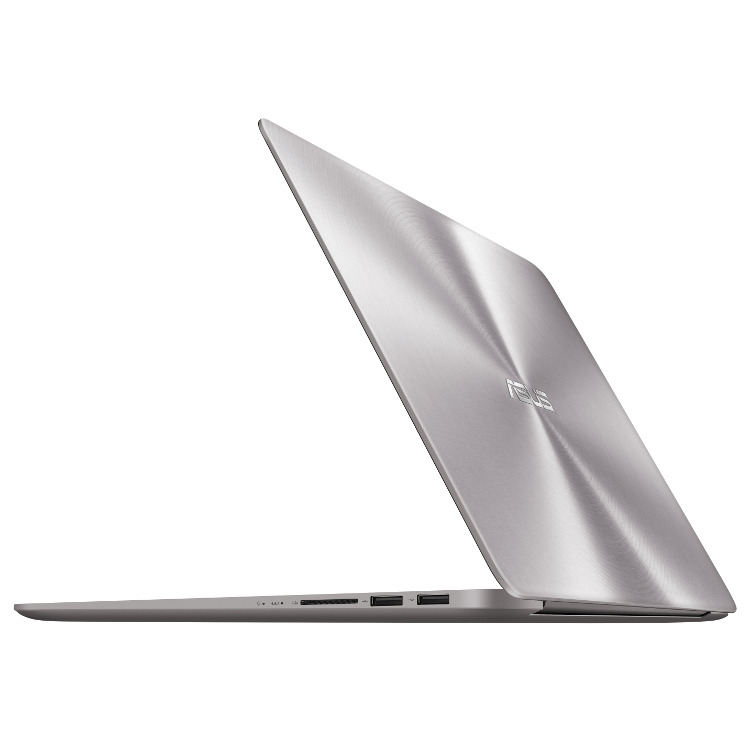 Finally, we anodize ZenBook UX410 in a nature-inspired Quartz Grey shade. 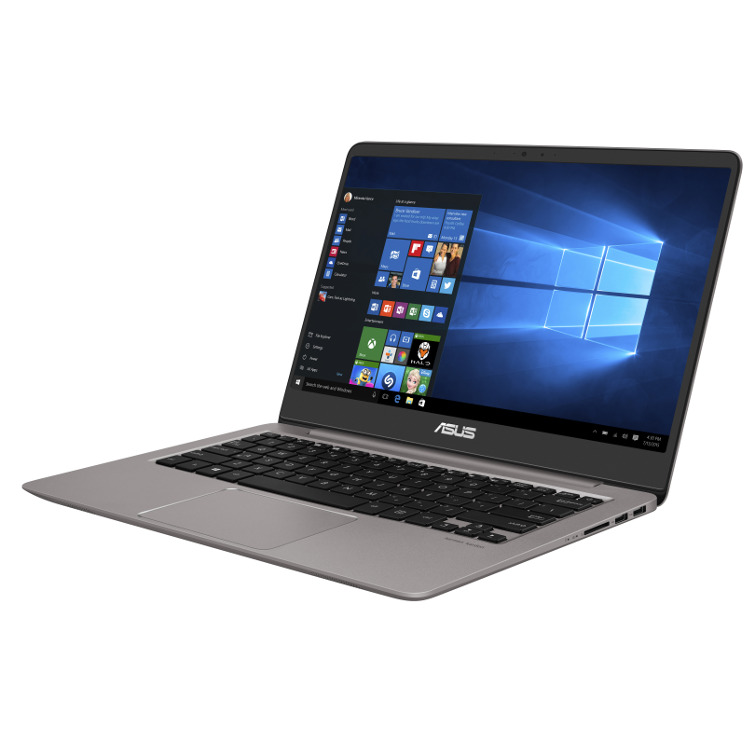 Superb mobile performance is the hallmark of ZenBook, and in ZenBook UX410 this is delivered by a 7th-generation Intel® Core™ i3 processor, with 4GB DDR4 2133MHz RAM. The latest dual-band 802.11ac Wi-Fi provides super-fast speeds, and Bluetooth® 4.1 connects you easily to your gadgets. True professionals demand the latest technology, and the revolutionary, reversible USB Type-C port gives you high-speed access to the latest high-performance peripherals. With the HDMI port, you can connect to monitors, TVs or projectors with no hassle. Effortless multitasking, smooth video playback, and super-fast application launches — ZenBook UX410 is always ready when you are. It's supremely energy-efficient too, meaning fewer trips to the power socket! With ZenBook UX410, we’ve achieved the impossible: fitting a stunning 14-inch up to Full HD display into a laptop that’s no bigger than most 13-inch models. The secret is the ultra-slim 6mm bezel, which not only allows us to fit a larger screen, but also gives you distraction-free viewing whether you’re reading text, viewing photos or watching videos. The amazing resolution makes photo or video editing so much easier, and the incredible pixel density of 276 pixels per inch makes every tiny detail pin-sharp and crystal-clear. ZenBook UX410’s display features an ultra-wide color gamut of 72% NTSC, 100% sRGB, and 74% AdobeRGB. In plain language, this means it can display more colors, more accurate colors and more vivid colors than any standard display. And wide view angle technology ensures that contrast and color reproduction are not degraded up to 178° degrees, ZenBook UX410 sets the standard for laptop displays. To ensure only the very best images, ZenBook UX410 incorporates ASUS Splendid technology to give you richer, deeper and more accurate colors. 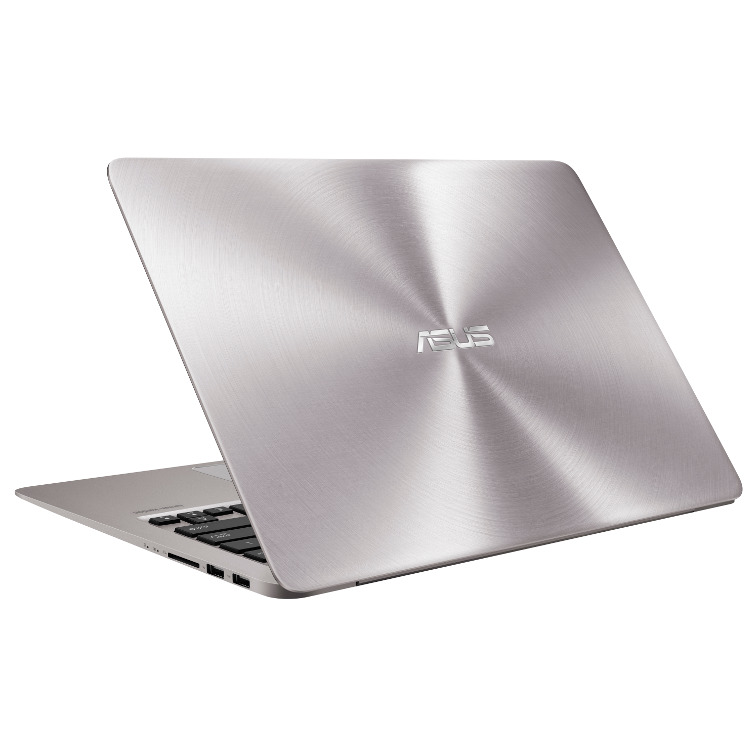 ZenBook UX410 is equipped with the new, reversible USB Type-C port with its any-way-up design that makes connecting devices so much easier. It also delivers data transfer speeds up to 10 times faster than older USB 2.0 connections! In addition, ZenBook UX410 has a USB 3.0 ports, a HDMI port and an SD Card slot so you can easily connect your current peripherals, displays and projectors with zero hassle. ZenBook UX410 lets you get connected faster and further with the latest 802.11ac Wi-Fi —it's up to 2.8 times faster than 802.11 b/g/n! And Bluetooth® 4.1 lets you connect your favorite devices with less impact on battery life. ZenBook UX410 gives you the freedom to do whatever you need to do, wherever you want to do it! ZenBook UX410’s full-size backlit keyboard is sturdily constructed in a single piece for a superb typing experience. It’s a masterpiece of ergonomics, with an optimized 1.6mm key travel for a comfortable feel. The gentle backlight ensures easy use in low-light conditions. The glass-covered precision touchpad uses exclusive technology developed for smartphone touchscreens to give high sensitivity and incredible accuracy. The touchpad also incorporates an advanced fingerprint sensor for fast, easy and secure login. 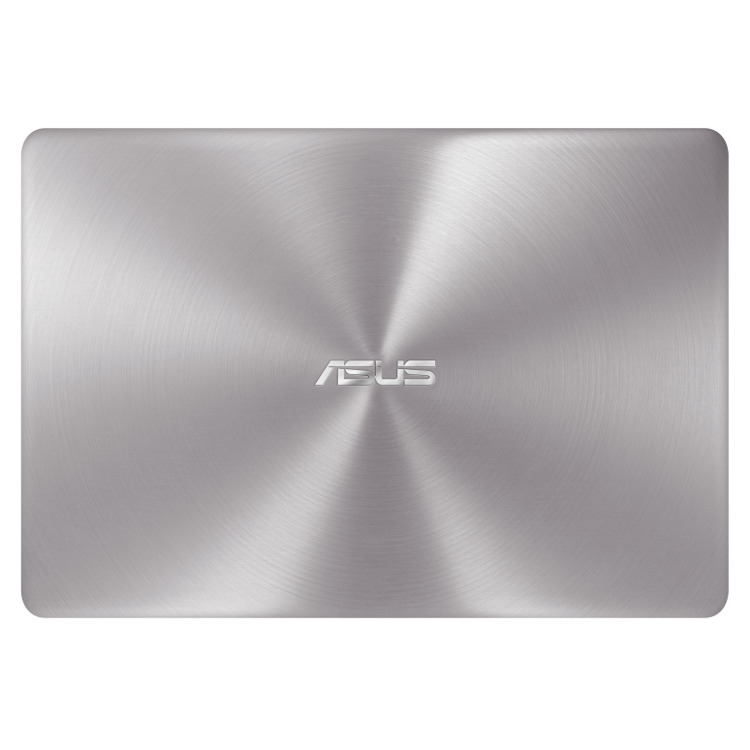 And as it’s a ZenBook, it looks beautiful, too, with a brilliant diamond-cut chamfered surround. Incredible sound has always been a feature of the ZenBook family. 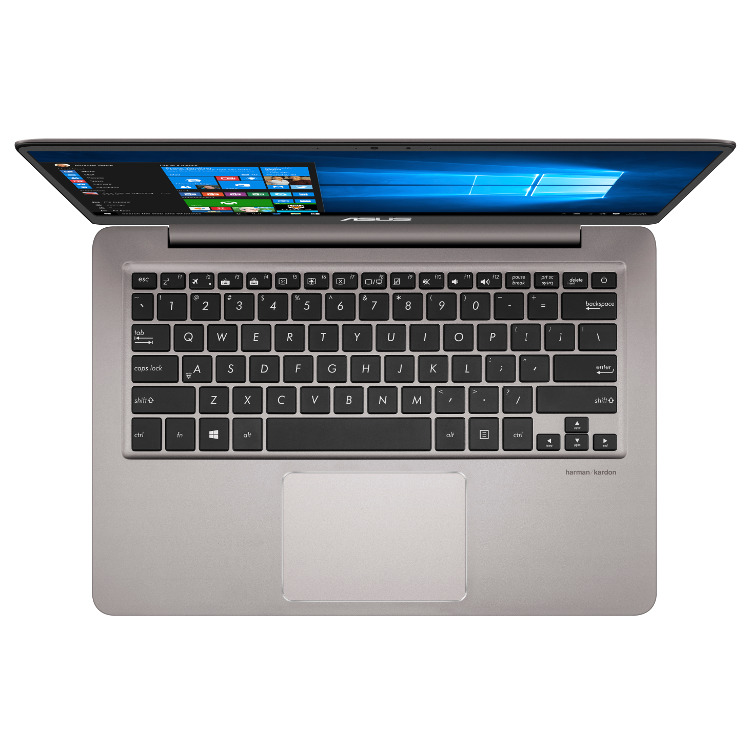 Co-developed by the ASUS Golden Ear team and Harman Kardon, ASUS SonicMaster technology delivers the most incredible sound on a laptop. A tailored mix of superior hardware and cleverly-designed software ensure that ZenBook UX410 gives you the ultimate sound experience.